An auxiliary long boom arm to expand your cymbal setup. 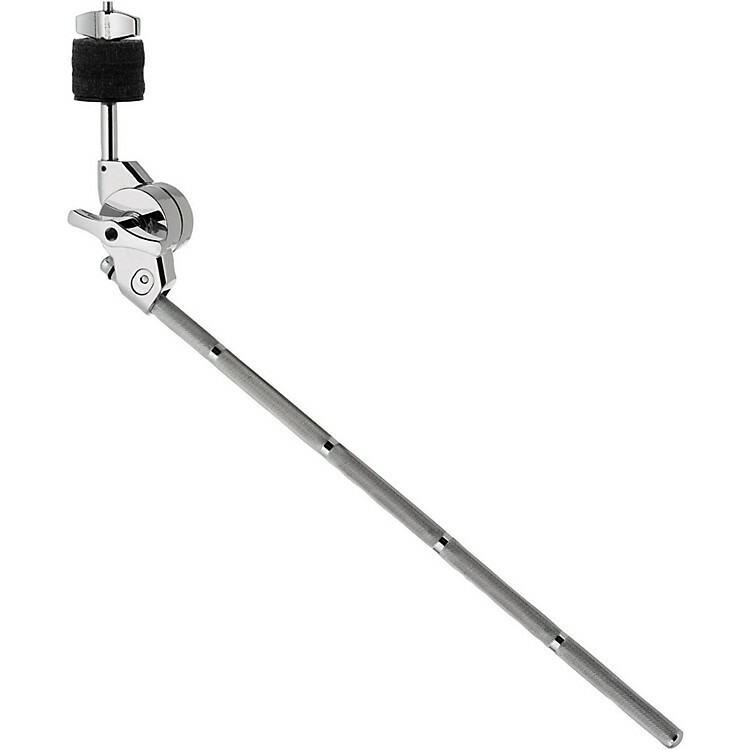 At the center of the Concept Series line of hardware is an innovative toothless QuickGrip clamp that allows drummers to add mountable percussion instruments, cymbals, accessories, and even microphones, without the need for additional stands. It also gives players the ability to customize just about any existing stand in a myriad of ways. The sturdy, all-metal-constructed clamp is outfitted with a friction disc that offers infinite adjustment, while the versatile design means that the ½ factory set clamp can be quickly and easily converted to 10.5mm by flipping over the drum key brake on either end. This means that QuickGrip clamps and accessories can be used with DW and PDP arms, as well as most other brands on the market today. You can now utilize the backs of cymbal arms, floor tom legs, and tops of tom arms to customize like never before. A hardware series that honors its DW heritage. Order today!